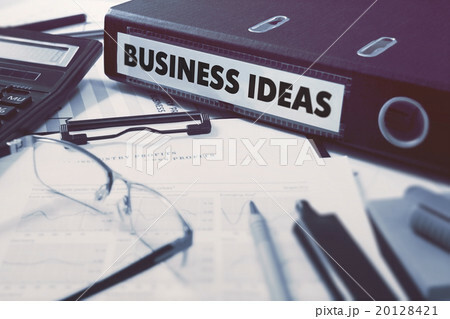 Business Ideas - Ring Binder on Office Desktop with Office Supplies. Business Concept on Blurred Background. Toned Illustration.